← What is a Second Cousin Once Removed? I used to worry that I would run out of things to write about when I began blogging, but if I’ve learned one thing it is that the more you write, the more there is to write about. I’ve had a big, red book on my shelf since the death of my mother in 2000. I got it out yesterday, and found an absolute treasure trove of information. 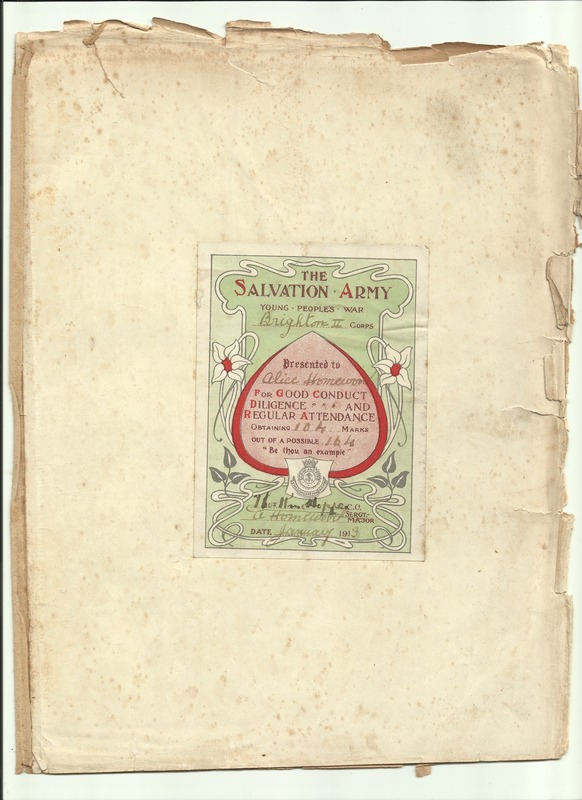 This post is just the introduction to plenty more about The Salvation Army. The book I have is an annual collection of the magazine for the children in ‘the Army’. 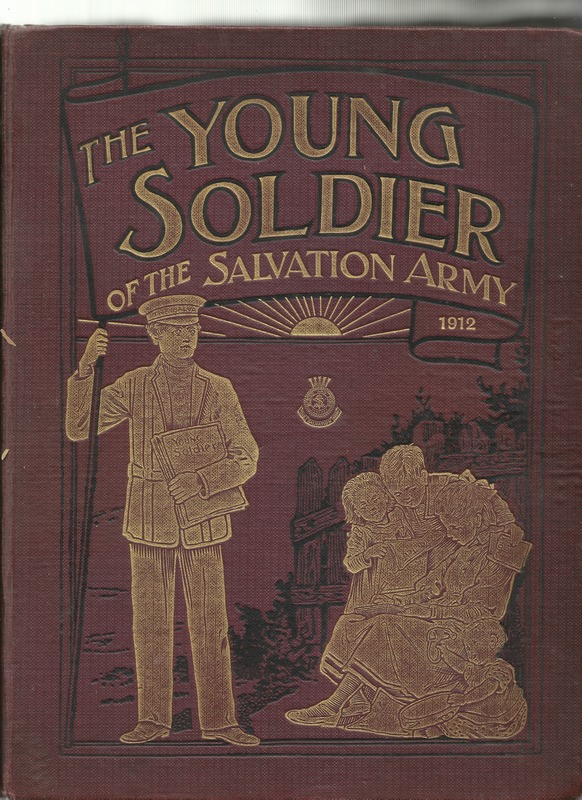 Called ‘The Young Soldier’ for the time period 7 October 1911 to 30 March 1912. There is so much in this volume that needs to be shared, and if you think back to this time period I’m sure you’ll turn your mind to the events of April 15th 1912 and the sinking of the Titanic. I have been amazed at reading an account of this event, written a few days after it occurred. I will copy the entire article in my next post. History comes alive, and reading of an event with the benefit of hindsight is very special. I’m so glad I opened this book. The book was given to my mother by an old friend of hers, Alice Homewood. Mum played the piano for ‘The Home League Singers’ a group of women who sang at a women’s meeting every Wednesday afternoon. Alice was a member of this group, and I remember going to see her in her home often. She lived near the Arches, in Lewes Road, Brighton. I feel it is important to include her as part of this story, there are many things included in the book which are personal to her. So it will be a personal journey of Alice’s as well as a national and international story of the Salvation Army and of events of the world during this time period. God bless you Alice, I remember you. 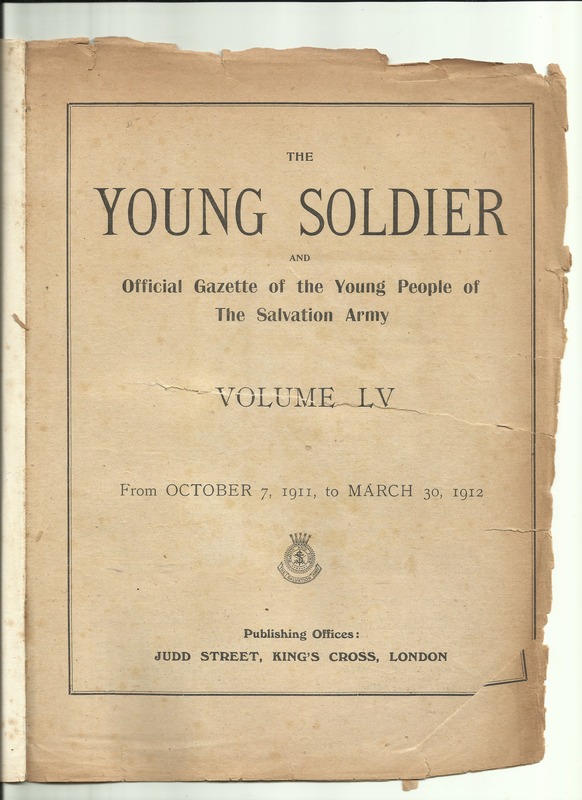 This entry was posted in Churches, Enid May Howells, The Salvation Army and tagged Alice Homewood, Brighton Congress Hall, The Home League Singers, The War Cry, The Young Soldier, Titanic. Bookmark the permalink.